Chances are you have little idea what’s in the cannabis you’re smoking. Because while THC, CBD and terpene profiles are easy to spot on medical marijuana labeling, testing for noxious things like pesticides, fungicides and molds are not currently regulated by, well, anyone. 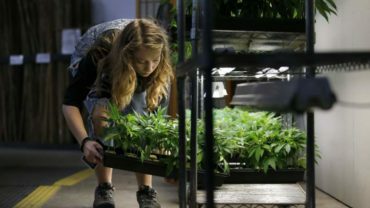 In the uncharted waters between the passing of recreational marijuana laws last year and the upcoming 2018 testing enforcement by the state, some cannabis producers and dispensaries are taking matters into their own hands. “One of the best aspects of regulation is to clean up the supply,” said Alec Dixon, co-founder of SC Laboratories, a cannabis testing company based in Santa Cruz. “Products have been getting into the hands of patients at alarming levels,” he said, during a recent CannTalk cannabis education event at its Santa Rosa field office. And maybe just in time. The news has been full of frightening stories about high failure rates of marijuana concentrates at several California events, including Sonoma County’s 2016 Emerald Cup where a reported 25 percent of concentrate entrants were disqualified for pesticide residue. Nine pounds of cannabis were recently recalled in Oregon after they were found to contain levels of pesticides above state-mandated limits for recreational marijuana — the first recreational marijuana recall in the state. Washington and Colorado have already issued significant recalls. Deadly mold and fungus have been implicated in at least one death of a cancer patient using medical marijuana. For Northern California growers, it’s a shot across the bow, as recreational marijuana is forced to come into compliance with state testing laws slated for 2018. As an agricultural crop that will be more heavily regulated than produce or wine grapes, it’s a tricky proposition to keep residues at minute levels measured by highly sensitive testing equipment. Recently rumors began circulating in Santa Rosa that several dispensaries were quietly pulling products — primarily concentrate cartridges — from their shelves. Turns out that in at least one case, owners confirmed the news. 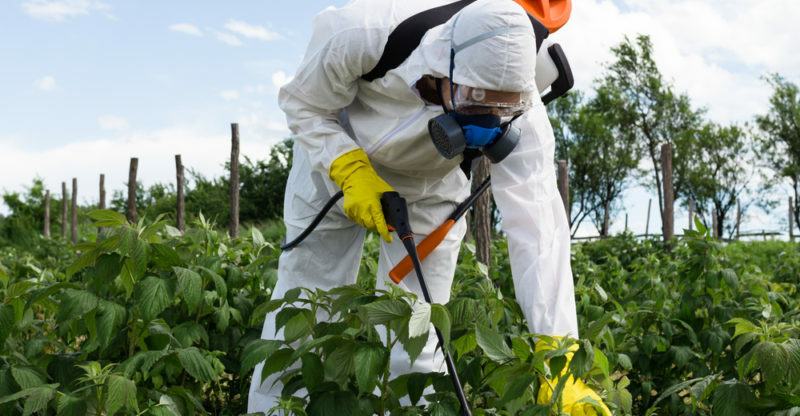 “The industry is conscientious and their response (in addressing pesticides) has been positive,” said Erich Pearson, CEO of SPARC and Peace in Medicine. “You are seeing organizations respond in pulling products off shelves. Good organizations believe they need to offer safe products. It’s only going to get better with regulations. Pearson claims his dispensaries have been testing marijuana flowers for pesticide residue for three years — rejecting anything that tests positive. But he said they often took the word of large concentrate makers that their products were “clean.” In many cases, they weren’t, and some products have been yanked from shelves at his dispensaries. Pearson declined to name specific brands until further testing has been conducted. “Cultivating cannabis without (pesticides and other) … chemicals requires strict cultivation protocols as well as a lot more labor,” said Sam Edwards, CEO of Sonoma Cannabis Company. “You have to actually tend to your plants, not just spray them with (some) chemical and then wait to harvest because the chemicals prevent mold and insects. But it’s not always the producers who are at fault. Dirty CO2 machines that do the extraction can add residue to even the most pristine product, something Dixon says is a huge problem, and not an easy one to fix, especially in large closed-loop systems. The environment is also a problem, especially in agricultural regions, Dixon said. “We stumbled on the toxic environment we live in when we started using mass spectrometers that can find traces in parts per billion, or even parts per trillion. “With drift from neighboring crops, the reality of unavoidable residual contamination, even for the best organic growers is a major consideration. “This is going to be the tightest crop that has ever been regulated, because it is primarily combusted,” he said. Many of the small family growers in Northern California have spent generations organically dealing with spider mites, mold and other pests that can ruin an entire cannabis crop, Dixon says. We reached out to several other dispensaries and testing labs for comment, but did not receive replies. Emerald Report hopes to continue the discussion about pesticides, producers and dispensary owners as we move forward with state regulations.